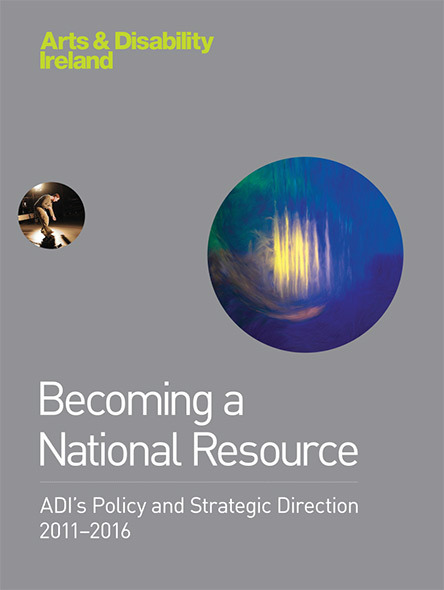 ADI is proud to present Becoming a National Resource: ADI’s Policy and Strategic Direction 2011–2016. As our first policy and strategy document, it marks a new phase of maturity in the organisation’s history. 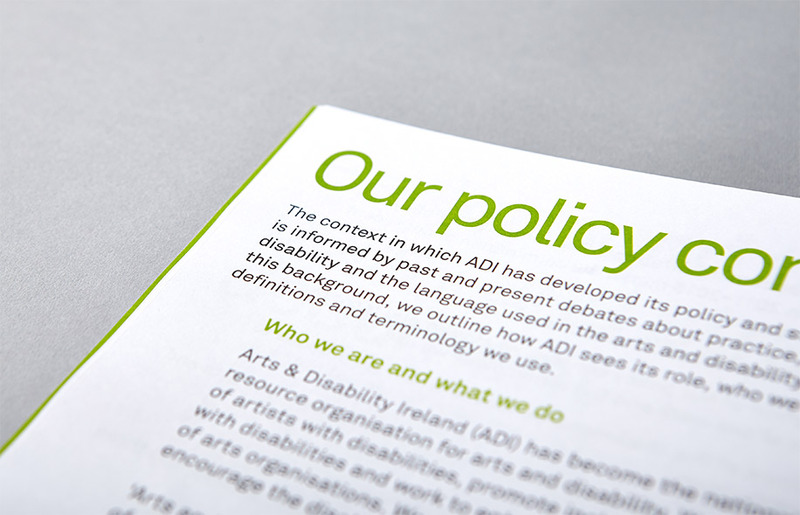 As the national resource and development organisation for arts and disability in Ireland we intend to use this document to guide our work with the arts community to create opportunities for artists with disabilities and accessible experiences for audiences with disabilities. In recent years ADI’s effectiveness has been greatly enhanced through our experience of supporting artists and audiences with disabilities and their connections with the arts. By naming our key areas of focus in Becoming a National Resource, we believe we can create lasting change in the way people with disabilities are involved with, and engage in, artistic and cultural life in Ireland.